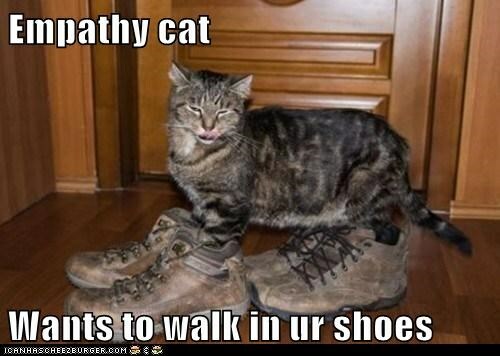 I Can Has Empathy? | Half Heart. Whole Life. 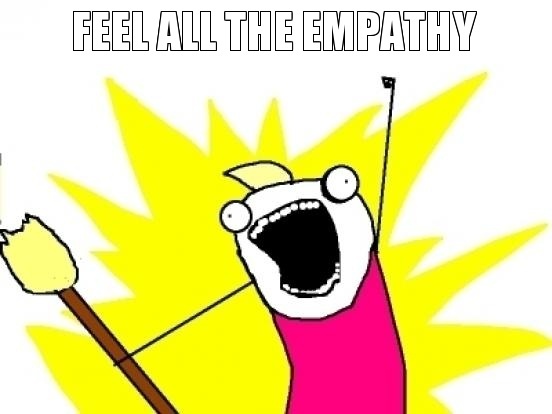 Ok heart parents: did you struggle with empathy after your heart baby was born? Or is it just me and I’m a total nut? I remember having to go back to work after Nolan’s first surgery and I was like a total beast. I didn’t want nothin’ to do with nobody. I felt like everyone was in my face and even worse I didn’t want to hear about anyone else’s “stuff.” I remember the first co-worker that would yawn and say, “Oh man, I’m tired,” and I’d be like “YOU DON’T KNOW WHAT TIRED IS! BLARRRGH!! !” Yeah it was a little bit outta control. BUT…once I started getting a little more understanding of this heart parent thing, I started to learn to change up my thought process. It’s hard to go through the initial stages of this experience and NOT think solely about your situation, because it’s just so stinkin’ huge. After awhile, though, I started to be even more aware of the difficulties people could be going through. More importantly, everything’s relative. No, not everyone has been through what I’ve been through…but just because it’s different doesn’t mean it isn’t something difficult. I used to think I was pretty thoughtful, but I think being a heart parent has really made me more thoughtful. More importantly, as you focus on others, you start to be more thankful for the things you have and the problems that you perceive as so huge, just might not be so huge after all. It’s true…you should give it a try. While I think it’s important for others to walk in a heart parent’s shoes, I think it’s VERY important that we – as heart parents – walk in others’ shoes and not forget that our issues aren’t the ONLY ones that exist. Let the struggles you’ve been through make you a better, more compassionate person. You’ll learn to value people and have a heart for what they’re going through. Posted on May 26, 2014, in life and tagged CHD, congenital heart defect, empathy, HLHS, hypoplastic left heart syndrome. Bookmark the permalink. Leave a comment.